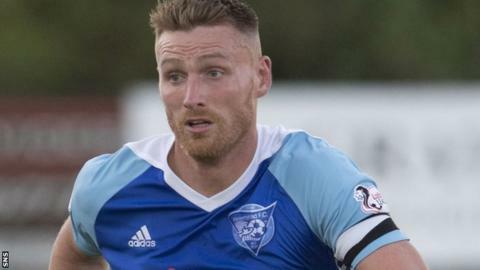 Peterhead claimed their first win in three matches as they edged Cowdenbeath 2-1 to remain five points clear at the top of Scottish League Two. Rory McAllister and Scott Brown scored either side of a David Cox strike. Second-placed Edinburgh City, who had gone two games without a win, won 2-0 at Berwick Rangers with Daniel Galbraith and Blair Henderson netting. Clyde beat Albion Rovers and Annan Athletic defeated Elgin City while Queen's Park and Stirling drew 0-0. Clyde trail Edinburgh by a point after Martin McNiff's solitary goal defeated Rovers and Aidan Smith got the only goal as fourth-placed Annan won at Elgin. Berwick remain a point off Albion Rovers at the bottom of the table.